On the occasion of 70th anniversary of India’s independence, Embassy is organizing a series of lectures/seminars on various topics including culture, economy and bilateral relations. 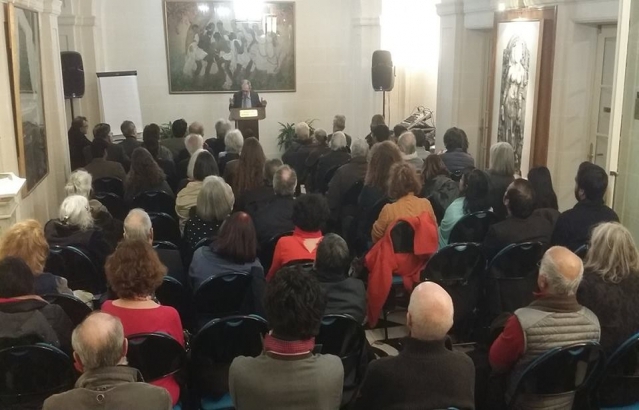 Under this framework, an inaugural seminar on ‘André Malraux’s contribution to Indo-French bilateral relations’ was organized on 22 February. 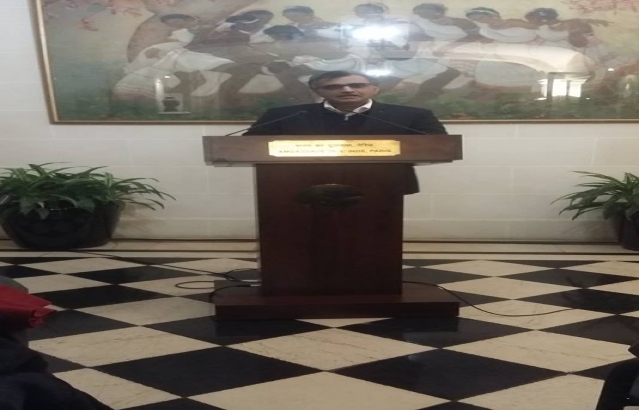 Chargé d'affaires Mr. Manish Prabhat formally inaugurated this lecture series. 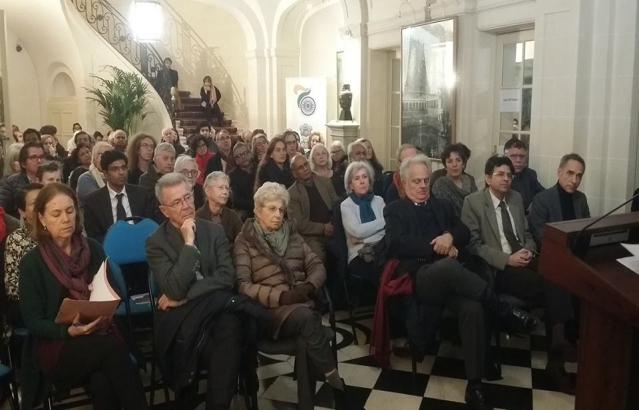 He recounted the role played by Jawaharlal Nehru and Malraux in promotion of Indo-French friendship. 2. 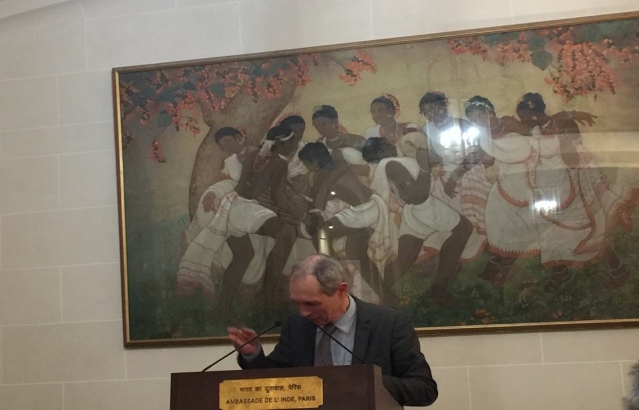 Mr. Michäel de Saint-Cheron, a noted specialist on André Malraux spoke on relation between India and Malraux. 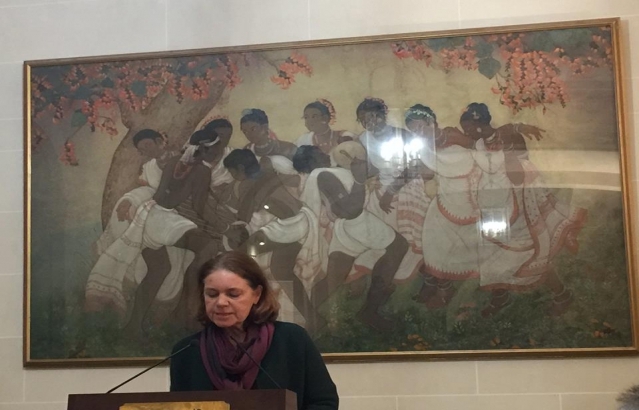 Ms. Edith Parlier- Renault, an art historian, explained the influence of Indian art and iconography on Malraux. 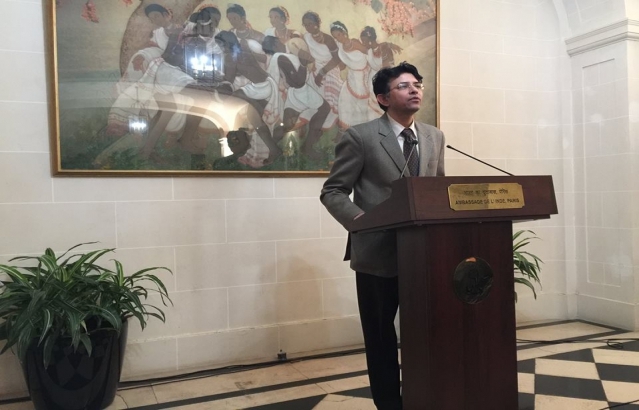 Mr. Satyen Jha, member of the administrative Council and in charge of literary affairs of Amitiés Internationales d’André Malraux association narrated the personal role played by Malraux in promotion of Indo-French bilateral relations.